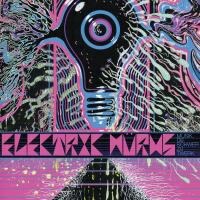 The Flaming Lips' Steven Drozd talks with PopMatters about new group Electric Würms, his thoughts on progressive rock, and decades of musical exploration. Rare is the week that passes without some headline about the Flaming Lips. New content is constant, ranging from audacious recording experiments to music video ventures to collaborations with pop stars to the occasional bit of social media acrimony. By now the group is an institution, having created music together for more than 30 years. Yet there's no indication that they plan to settle into the comfort zone of classic rock status. One new release from the Lips' camp combines this freedom to push frontiers with a sort of tribute to the sounds of progressive rock. The album is called Musik, Die Schwer Zu Twerk and the band is Electric Würms, led by the Lips' Steven Drozd and also featuring Wayne Coyne and members of Linear Downfall. The biography for the band relates a fanciful tale that begins (of course) "in the late '70s" -- a story of space travel, shape-shifting music freaks, and a "sonic bible" sent back to Earth and "deciphered"/interpreted by Drozd and company in the present day. Despite this involved narrative, the Electric Würms project began rather casually. Drozd says, "I think we just started talking about some idea for a crazy, psych, kraut-rock, prog outfit or something, you know, something that would be me and Wayne, but not necessarily a Flaming Lips thing. It was just a conversation. We have these conversations all the time. "And then after a while, we decided, let's try to make it actually happen. So what we talked about originally and what ended up happening were a little bit different. But it was that same basic idea that we would create a whole new kind of ensemble or whatever, that wasn't exactly the Flaming Lips, but with Wayne and I. And that's kind of how it happened. That was a couple of years ago when we first started talking about it." In the years since that initial conversation, the Lips released The Terror, received by many listeners and critics as darker or bleaker or less hopeful than much of the band's past output. Last year, Drozd spoke with PopMatters' Evan Sawdey about (among other things) that aspect of the album, acknowledging that it was a "downer." I ask Drozd if Electric Würms, with its zany backstory and dynamic sound, is in any way an intentional change of course after the gloom of The Terror. "I don't know if it's an intentional change. I wouldn't say that. Definitely there's some tongue-in-cheek stuff going on. Even the name of the record -- the incorrect translation of 'music that is hard to twerk to.' I've had so many people write to me and say, 'That's not correct, that's not how you'd actually say that in German.' It's like, yeah, I know, but we put 'music that is hard to twerk to' in a Google translator into German and that's what it spat out. So if people don't get that that's kind of a joke, then I'm not sure what to say. I think some people actually don't get it, though." He says in retrospect, "I guess The Terror did seem like a pretty serious record, so I could see how you would perceive it that way. I think I could probably speak for Wayne and I, we don't really -- we didn't think of it that way. It wasn't a reaction to what we'd done before or anything like that. It was, let's find a way to do some other music that's us but not The Flaming Lips. But I do agree, there seems to be a little more, like you said, levity with this than with The Terror." For most busy professional musicians, the idea to start a "crazy, psych, kraut-rock, prog outfit" would either result in novelty songs or not come to fruition. But Drozd's appreciation for these styles of music gives Musik, Die Schwer Zu Twerk a great deal of credibility as piece of rock and roll revivalism. It's no exaggeration to say he sees in prog rock history both the best and the worst of what rock music is capable of accomplishing. "People have different definitions of it, for sure. I've loved, ever since I heard, Yes' Fragile, when I was 13 or something. I was always a fan of that record, and then Close to the Edge -- most of the early Yes stuff. But then you get in your 20s -- and this was back in the 1990s -- it wasn't cool to claim that you listened to that kind of music. I was definitely one of those people that just tried to deny it for a few years even though I still had those records in the bottom of my pile of records. "I definitely have, over the years, always had a relationship with it. I think in some ways it's gotten a bad rap where it shouldn't and in some ways it's as bad as people claim it to be. So I guess it just depends on what you're talking about. If you were talking about Close to the Edge, I would say, 'Hey, that's up there with the best records of all time.' And if you're talking about Yes' Tormato, I would say 'Well, that's in the worst records of all time.' So it's kind of hard to say." The krautrock influence is a bit more definable, insofar as that term has a more strict set of associations than progressive rock. For Electric Würms, Drozd says the krautrock style amounts to "three or four things we're talking about ... to me, it's not about chord changes, it's not about rock, there's just a feel. It's almost kind of an inhuman machine kind of feel. Even though some of it can be kind of funky, it still is devoid of attitude and rock and roll things. I'm not sure how you feel about it. "But when people say krautrock, even that, there are so many different kinds of krautrock. You've got Neu! -- which is like proto-punk rock -- and you've got Can, which is all groove stuff you know, and you've got Faust, which is beautiful noise sometimes. So there are different areas there. But I would say we were conscious of all of those things when we were making the Electric Würms' stuff." When playing and recording the songs collected for Musik, Die Schwer Zu Twerk, Drozd was faithful to the bands and recordings he cites as influences but also intent on arriving at sounds and moods using his own means of innovation and interpretation. I mention that song "The Second Time" sounds particularly indebted to the krautrock style and he explains his process. "For sure, 'The Second Time,' it's actually called 'Living' now, is a drum machine I'm playing manually. And it's feeding back into a delay pedal. And that's feeding back into reverb. That's what [mimics mechanistic sound] that is. I would say that sounds like krautrock to me. It sounds like Neu! or one of those bands." The final track of the album, a cover of Yes' "Heart of the Sunrise", is the song that most plainly straddles the line between honoring prog's past and pushing it into the future. As such, the song is central to the time-travelling music freak conceit of the group. One conspicuous change from the original recording (which ran from more than ten to more than 11 minutes, depending on the release) is the excision of extended, now-iconic instrumental sections. I ask Drozd if the pared down variation by Electric Würms is in any way a comment on the pomp and excess that many contemporary listeners still associate with prog. He responds, "It's not to say it's straight to the point. It's to say that -- you know we did record those other things. We kind of learned it note for note, and it just didn't -- it was hard to record that, and play it, and listen to it, and feel like it had anything unique about it. It just seemed like we were playing the song exactly note for note. And there's no interpretation on [vocally simulates a section of the lead-in riff]. You're either playing that or you're not, if that makes sense. "Whereas the main part of the song, or the singing part of the song, there are a bunch of different ways you could interpret that or different ways to voice out the chords and stuff. And that's how that came about. Here's a way where we can do this beautiful singing that -- you know, I love Jon Anderson's singing on that song. We could do that. "We actually changed the time signature from three to four in the Electric Würms version. And [we] do that part of the song and have it seem like it's unique to us instead of, we're just playing the song note for note. We did actually record all of the main riff, and when we do play it live, we're actually going to play the beginning, that main badass riff, you know. For the recording, it just seemed right to get it down to the main essence of the song." The desire to discover the essence of each song extends to Drozd's approach to studio production, at times resulting in songs that carry little to no studio polish. This is another departure from classic progressive rock, which more often than not employed overelaborate recording techniques. In contrast, the toms on Electric Würms track "I Could Only See Clouds" sound raw, as if someone recorded them using a single microphone and/or to a boombox. At the risk of destroying the Electric Würms' mystique, I ask him to comment on the varying recording quality of the songs. "Every song's a different experience," he says. "They're all basically done at Wayne's studio, but recorded in different ways. Sometimes we would take the drum kit and the bass guitar and run all of that through one amp, and mic that amp, and record that. That would be part of the sound. "So we'll do anything that seems like, 'Hey that sounds cool -- let's just do that.' There's really no set way to do it. The 'Futuristic Hallucination' track, I think that's just two room mics, so it's the whole band playing all together, and then we took that and ran it through some filters and delays and reverbs. There are so many different ways we do things. I would say, of all the songs, 'Heart of the Sunrise' is probably closest to a hi-fi recording, and the rest of them are a hodgepodge of iPhone recordings and a mic at the other end of the room." Not having a set way of doing things has propelled The Flaming Lips from outsider psychedelic rockers, to unexpected major label hit-makers, to critics' darlings and beyond. The band's readiness to move through different phases invites comparisons with the histories of other artists whose longevity is due to reinvention. I mention the recent documentary David Bowie: Five Years and its focus on Bowie's pioneering use of multiple identities as vehicles for his music. Drozd has also seen the film, and he knows the albums well. "From 1972 to 1977, he went from Hunky Dory to Ziggy Stardust to Low and Heroes. That's pretty crazy. That's a lot of change in a short amount of time. I'd never compare us in that regard. But we have been doing this together, I mean the Lips have been together for 30 years, and I've been doing stuff with them since, what, 23 years almost now? "All the different things I've always wanted to do in music or with music, I've kind of gotten to do them, you know? From orchestral landscapes, soundscapes with ambient stuff, to making Christmas music, to atonal krautrock, whatever, all these things I've always wanted to do have become part of what The Flaming Lips are. So I'm pretty happy about it. I don't know what we're going to do next, but as far as the things we've done in the past, I feel I've gotten to do everything I always wanted to do. So it's a pretty good deal." What's more, he says none of these phases has felt too fleeting or in any way limiting with regard to his individual identity as a musician. "In a lot of ways, I feel like I kind of, whatever's going on with The Flaming Lips, I always have some kind of other track that I'm on, you know? And a lot of times, it actually works, they line up together. "And a lot of times I will want to do something for a while and then all of a sudden, now we're doing it. So I would say I feel like it's all worked out pretty good for me, because I've been playing music since I was a kid, and I always wanted to do these certain types of things in music since I was a teenager. It seems like one by one I've done them all. So I would say I'm pretty happy with the way things have turned out the last twenty or so years." Though he's the lead vocalist and multi-instrumentalist for Electric Würms and longtime musical mastermind of The Flaming Lips, it is Drozd the drummer who has affected an especially large segment of listeners. Yet he's not so fast to identify with a single instrument. "I think yeah, I'm just the guy that plays the different instruments, you know? I remember when I was a teenager my dad told me to stick with one instrument. He was like, 'You should just stick with one instrument and be really good at that,' and I didn't, you know. "But I think a lot of people still think of me as a drummer, which is pretty funny. I've been playing drums again live, which has been fun. And a lot of people I've known for years are always like, 'Oh, I'm so glad you're playing drums again!' I guess that is my first love, so if anything I would say drummer, but I don't actually even have a drum kit set up at my house. I do have a Steinway piano, so it's kind of hard to say. I guess multi-instrumentalist. Not the greatest at anything, but he can do quite a few things."